This story was updated Sept. 5, 2018, at 7:06 p.m. with more information. 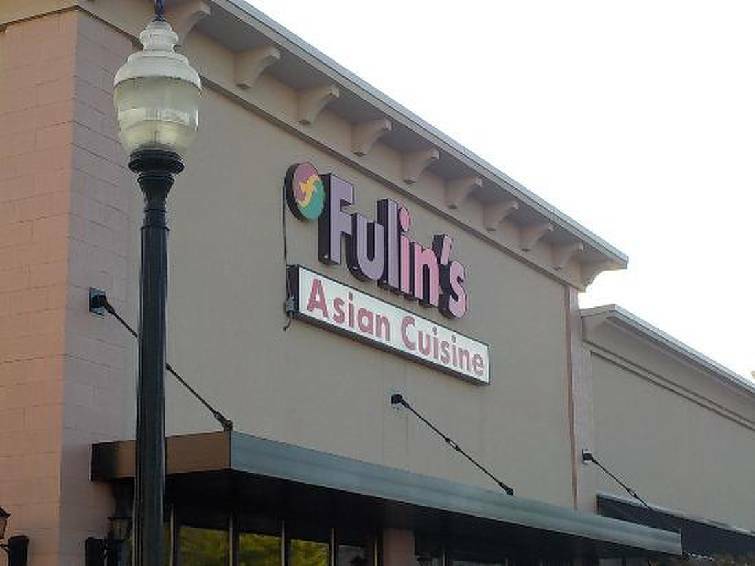 Fulin's Asian Cuisine, a family owned upscale Asian restaurant that has operated in Cleveland, Tennessee since 2004, plans to add a second location in Ooltewah early next year. Evan Chen and Ashlee Anderson, operators of Fulin's in Cleveland, are building a new 3,000-square-foot restaurant at Cambridge Square just off exit 11 on Interstate 75. "As a patron of restaurants, I really love the Cambridge Square location and we've been thinking about adding another restaurant for a while," Anderson said Wednesday. "We were tossing around the idea of opening in either Atlanta or Chattanooga, but we really feel like this Ooltewah area is up and coming and there will be a strong demand for our type of Asian restaurant at Cambridge Square." Evan and his father, Hui Chen, jointly own the 4,500-square-foot Fulin's restaurant in Cleveland, which offers a menu that fuses authentic Chinese, Thai and Japanese dishes and sushi. "Anything Asian, we do," Anderson said. The new Ooltewah Fulin's will be open for lunch and dinner, offering take-out and dine-in service. According to Chen and Anderson, the lunch atmosphere will be casual and geared toward patrons who are looking for a great meal on a limited schedule. At night, the experience will lean more upscale, where patrons can try new dishes and spend time relaxing with friends and family. "Fulin's is quite simply a fantastic concept," said Jim Cheney, marketing director at Cambridge Square. "They add a much-needed category to Cambridge's culinary offering, and they are very excited about entering the Ooltewah market. Fulin's is a game-changer when it comes to Asian cuisine. " Cambridge Square, a multi-use complex of offices, stores, medical facilities and restaurants near the Honors golf course in Ooltewah, is already home to such restaurants as 1885 Grill and Tavern, Heaven & Ale, Il Primo, Lupi's Pizza Pies, Mojo Burrito and Shane's Rib Shack. The new restaurant will likely have 125 to 150 seats and employ up to 20 workers..
"We will offer everything we do in Cleveland, in addition to an expanded vegan menu," Anderson said. The typical chicken entrees at Fulin's are priced around $13 a meal and beef dinners are priced around $15 a meal. Fulin's also features specialty rolls, soups, and appetizers. Diners can enjoy single meals at the Sushi bar, or large family meals in which entrees can be shared in large groups. "Understanding that the community is the heart of our restaurants, we currently hold multiple sponsorships with youth athletic programs, churches, and various academic institutions," Chen and Anderson said in a statement. "As we continue to expand, we will look for more opportunities to give back to the communities we serve. We have Asian cuisine, but most importantly, we have friends and families!" The Fulin's restaurants will be open everyday, except Thanksgiving, and will be open Sunday through Thursday from 11 a.m. to 9:30 p.m. and Friday and Saturday from 11 a.m. to 10:30 p.m.